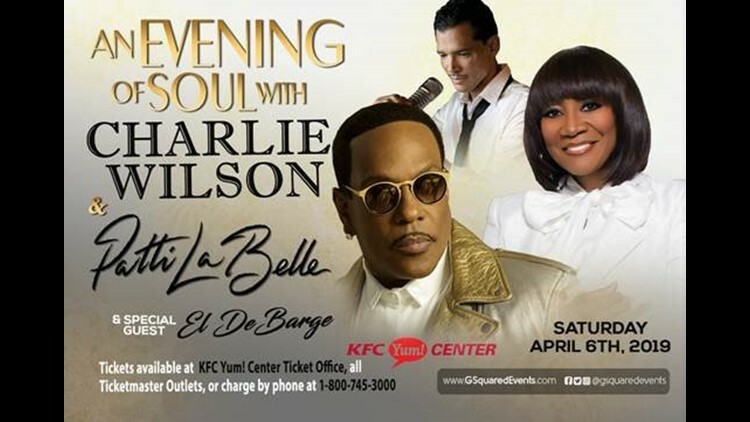 LOUISVILLE, Ky. — The411: Spring into love with an Evening of Soul with R & B superstars Charlie Wilson and Patti Labelle along with special guest El DeBarge. The trio will perform at the KFC Yum! Center on Saturday, April 6th. Doors open at 6:00 pm and the concert will begin at 7:00 pm. The last time, I attended a concert of Wilson his stage performance was second to none. The high energy show moved with dancers and a band for over 50 minutes. You would expect to pay a lot of money to see these artists are definitely getting a deal with it only costing you between $42 and $125 dollars. If you have a story idea, send it to me at The411@whas11.com. You can follow me on Twitter @sherlenemediapr and Instagram @sherlenemediapro for real-time updates and announcements.